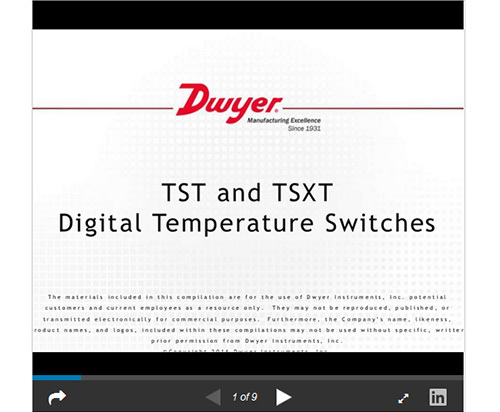 The SERIES TST Digital Temperature Switch is designed with many heating and cooling applications in mind. This low cost switch is simple to set up with one probe input and SPDT switch output. Programming performed using either the front keypad or through a TS2-K programming Key. For Modbus Communications, the TS485 serial communication interface is required. Please contact technical support for more information. 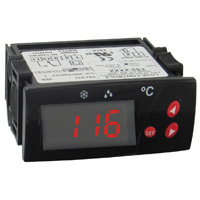 SPDT relay rated 16 A @ 240 VAC resistive, 10 FLA, 60 LRA. 4 VA @ 115/230 VAC; 1.5 VA @ 12/24 VAC/VDC. 115 and 230 V models: 7.2 oz(204 g); 12 and 24 V models: 4.8 oz(136 g).